Long before its release, Michelle Obama’s memoir, Becoming, was highly anticipated. In fact, on Nov. 12 Barnes & Noble announced Obama’s book had sold more copies during preorder than any other, at least since Harper Lee’s 2015 novel Go Set a Watchman. Now, Obama’s memoir is breaking another big record that’s worth celebrating. According to the book purveyor, Becoming is the fastest-selling book of 2018. That said, it is still too early to tell how Becoming fared with other retailers and if it toppled first-week sales records across the board. Currently, Bob Woodward’s Fear holds that record. The book sold more than 1,100,000 copies through its first week. However, according to publisher Penguin Random House, Becoming sold more than 725,000 copies on its first day, so it is possible. What’s more, it doesn’t look like Obama’s new memoir will lose traction anytime soon as far as visibility and popularity are concerned. 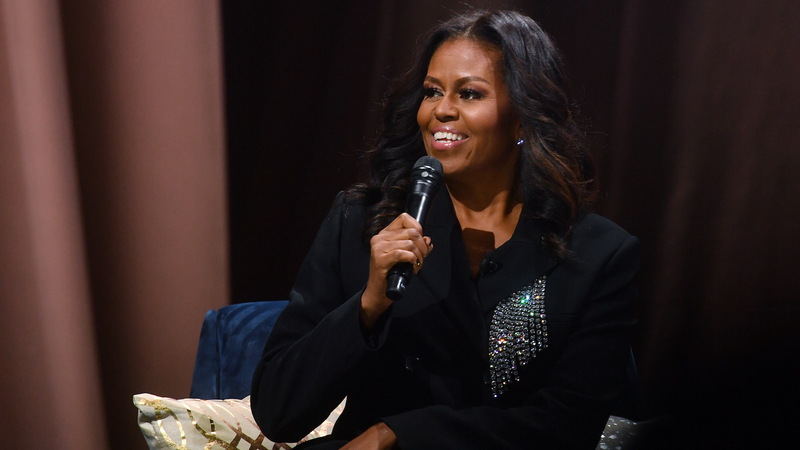 The week of its release, Oprah Winfrey chose Becoming for her book club, and the former talk-show host and media mogul will be broadcasting an interview with Obama and running an excerpt of Becoming in an upcoming issue of O magazine. Obama is currently on a 10-city book tour to promote Becoming‘s release, and while the former first lady has already stopped in Chicago, Los Angeles and Washington D.C., she will also be making appearances in Boston, Philadelphia, Brooklyn, Detroit, Denver, San Jose and Dallas. However, if you can’t make it to one of these events, don’t fret. The book is in stores now, and it is a must-have this holiday season.